Anyone involved in conservation has seen the sector transformed in the last 10 years. Facing a whole new realm of challenges, our approach also needed to change. Having lived this problem and in searching for solutions we have come to understand that conservation and people used to be separate but we are actually all part of the same solution. Educating and economically integrating the families who live in the villages surrounding the safe havens. Harmony between wildlife and people is the direct by-product of educated and economically integrated neighbouring communities. By protecting the environment, we are protecting people too. The moment that a person is aware and educated, they are able to see the importance of protecting wildlife. At Sabi Sand Pfunanani Trust we have put humanity at the heart of conservation and we are now beginning to see real change. As a Trust, we stepped out and agreed a bold strategy to take our work to a new level. Our trustees and project team rose to the challenge and it has been my privilege to see us move closer to our vision with each year. 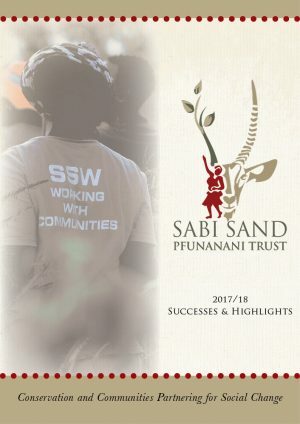 2018 has seen the continuation and expansion of inspiring programmes such as the Sabi Sand Community Based Natural Resource Management and the GWF Digital Learning Centres. 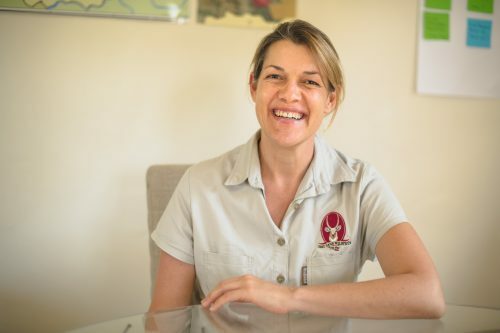 We have also been able to launch a suite of new initiatives including Recruit Local, YES for Youth, Sabi Sand Saturdays, the Village Waste Management Programme and our Cattle Rangeland Conservancy Project. We look forward to continuing to build on this progress in the year ahead. We are sincerely grateful to our loyal supporters and donors who have continued to believe in us and what we do and have made everything we have done possible. I hope that you will join us on the frontlines of conservation and be part of this experience in 2019.